19, previously stationed with the 2nd HET 360th Transportation Company at Fort Carson in Colorado, died unexpectedly Tuesday, June 30, 2009, due to injuries suffered in a motor vehicle accident. Dustin was born December 1, 1989, to Fred and Catherine (Fuller) Small. Dustin was a young man full of life, love, fun, and adventure: a person who was always there to give, and rare to take. In the spirit of helping others, Dustin wished to be an organ/tissue donor. Due to the severity of Dustin’s injuries, donation was not an option. 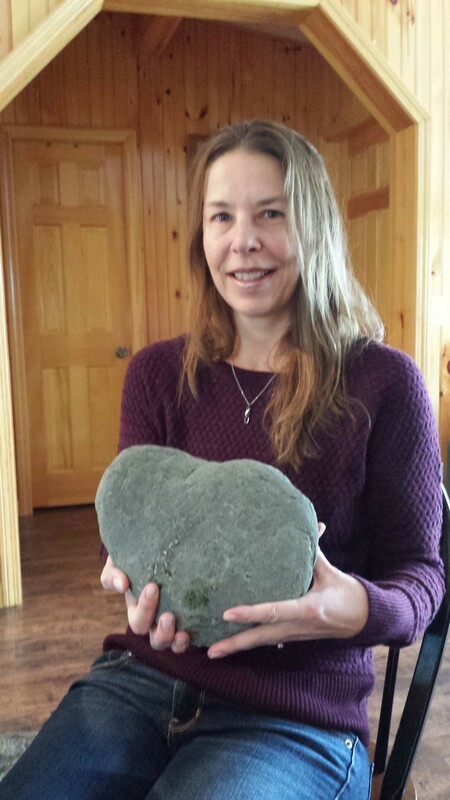 To honor her son, Dustin’s mother, Catherine Nelson, with the help of Henry Stratton, Derrick and Kimberly Small, retrieved this stone from the corner of the foundation of the old family homestead in Palmyra, Maine. Watch this video to learn what this stone says about PVT Dustin Small and what you need to know about Dustin if you accept the challenge to honor and sustain his memory by carrying his stone and his story as part of The Summit Project. MHANF. May this hero rest in peace and I salute him. This hero has a new mission guarding the gates of heaven. Wearing that uniform says a lot about your character and what type of man you are. You will never be forgotten and when ever I see that uniform. I will remember you and all the other men and women who weren’t afraid to put that uniform on. It takes great courage knowing your willing to make the ultimate sacrifice for your country. Until we meet at the gates of heaven soldier. My sincerest condolences on your son passing. As a proud member of the Patriot Riders of America – Chapter 3, yesterday, I had the distinct honor of carrying your sons heart shaped stone from Portland to Millinocket, Maine where it made it safely to Twin Pines. While reading your story, it seems there are a few similarities between us. My children and I lived in Colorado Springs for 11 years, my daughter Jessica was in the Army and stationed at Ft. Carson in another transportation squadron. I moved back to Maine back in 2012 to be close to my family who has lived here for many generations and Jessica has moved here after retiring from the Army. I hope this letter finds you well and know that the stone was in very good hands today. The 2015 Summit Project was one of the most inspiring events to ever transpire in my life. The bonds of camaraderie between the hikers, RBE staff, surviving families, and the Fallen never showed any weakness. In front of my eyes I saw the legacies of nearly one hundred fallen soldiers come alive through the speech of family and friends. Never have I been so moved by the friendships made and the welcoming embraced had by all. The following testimony is real proof of the effectiveness that The Summit Project has on everyone it involves. Being my first time being involved with The Summit Project, herein called TSP, I had no idea what to expect. I had expected to be all alone the whole weekend, except for the hike, and did not expect to make any friends. Oh how I was wrong. The very second I arrived there everyone was immediately welcoming and friendly, taking off a huge burden that I had been worrying about. I remember standing in line waiting for the stones to be handed off by the Patriot Riders and David Cote came by and greeted everyone with a handshake and a hug, definitely a surprise. This was preceded by my team leader, Morgan Anderson, personally finding the rest of my team and introducing me with grace. Everyone treated me with such a respect that only a family could have. We were later called into the rec hall to be issued our stones and to be given the final briefing of the hike plan. I was assigned the duty of guarding the stone of Private Dustin R.F. Small from Palmyra, Maine. Dustin was a U.S. Army soldier assigned to the 2nd HET, 360th Transportation Company; a truly rigorous job. He was injured in a vehicle accident and died from sustained injuries Tuesday, June 30, 2009 at nineteen years of age. Dustin was a man who believed in his mission and his duty. He made a promise to his country and he kept that promise until the day he died. I find several similarities between Dustin and I, the biggest being his love and eagerness for adventure. I felt a deep personal connection with Dustin because of his youth. He was fresh out of high school and fresh out of boot camp and the famous saying only the good die young fits this situation very well. I was also tasked with carrying the Service stone and explaining and its meaning. I had about sixteen hours to come up with a proper speech, yet I didn’t say anything I had prepared when the time came to present. The main theme that I came across was that every soldier enters battle with the ethos that what they do is so others can live a peaceful life without ever having the worry of being threatened. Beginning this speech I quoted the Air Force Pararescue motto “This we do that others may live,” and I opened up about how I truly felt about every serviceman and woman that has died. It seemed to me that a lot of people were somehow connected through being friends with the Fallen or the families of the Fallen, I even saw a brother and wife. I didn’t exactly have that connection, instead I had a different viewing. After hearing the stories of the fallen soldiers I have rethought the reason of why I joined the U.S. Army as a combat medic. At first I thought I’d do it just to save a couple lives, but this isn’t the only reason. As the stones started to cover the tables I watched the expressions and faces as they look at the stones of their relatives. I’ve talked to a lot of people about the service and some of them don’t get why I want to do it. Someday there is going to be a father who comes back from overseas and gets to see his family again. Someday we won’t have to see stones with a countless amount of names and dates written into them. Someday I won’t have to look at a wife or a brother who had their hearts torn to pieces and their whole lives changed, forever feeling the deepest of grief. This is why an infinite amount of men and women, including myself, have joined the service and it’s something that I intend to do. My name is Anthony Mason from Bangor, Maine. I am currently a junior in highschool and will be graduating in 2016. As a conclusion to this essay I would like to thank the following people for making such a huge impact on my life, in alphabetical order of course: Andrew Coleman, Danny Stokes, Dan Tereshko, David Cote, Gunny, Morgan Anderson, Nicole Fox, Sean Bickford, Scott Stitham, and all of the families of the fallen. Each and everyone of the people above have personally moved me and helped me focus on the true meaning of military service and the importance of our veterans. To Private Dustin Small and his family. Thank you for serving our Country and defending our freedom. Thank you for giving your life for me, my family and all our population. I was honored to carry your stone in a four mile road race called the Veteran’s Remembrance Road Race in Ellsworth, Maine. It was a challenge that I was so very proud to undertake and I was deeply moved to be part of it. Thank you and your family for being able to have a lasting legacy through The Summit Project. God Bless You All. 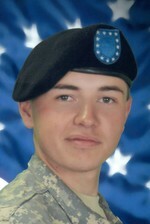 On June 30, 2009, Army Private Dustin R.F. Small died at the age of 19 due to a tragic car accident. He left us too soon but not before seizing his moment…his opportunity of a lifetime! He proudly enlisted in the US Army right out of high school, starting a path of greatness! From Dustin’s family’s account of his sense of giving, loyalty and adventure and from the lyrics of his favorite song “Lose Yourself”, I surmise that he made the very best of any situation dealt to him. He seemed to be a fighter for all things good, one with courage and perseverance! I was honored to share my time with him on the afternoon of November 8th, 2015 during our trek up Blue Hill Mountain, in Blue Hill, Maine. It was a gorgeous day, sun was bright, sky was clear and the view was spectacular. I carried his heart shaped stone which his family found in the corner of the foundation of his homestead in Palmyra and deemed perfect for this next phase in Dustin’s existence. We took a moment at the summit to reflect on the individual we were honoring that day and I stood there hoping that Dustin is at peace and that he knows he is loved. Thank you Private Dustin Small, for your service to our country! Be proud for seizing your moment!! You will never be forgotten!!! My name is Ryan Bradbury. I attend Nokomis Regional High School and we conducted the summit project on 16 May 2016. I was honored to carry the stone of Dustin Small when hiking up Big moose mountain by Greenville Maine. Although I did not know him, I do know his family and from what they have said in the past he was a hard worker who was always there for anyone who needs it. That is why I wanted to honor his memory by carrying his stone. The weather was amazing for the hike. When we were going up the mountain it was warm and buggy but as you got up the mountain it got better. When we were up at the top right after I talked about Dustin It started to rain which was funny because there was still snow on top. It started to hail as we went down the mountain making the trip more memorable. So I would say overall it was rewarding for me and my class and we were honored to carry the stones of our fallen Soldiers. I wish I could have got to know Dustin but I am glad to know his family and honor his memory. On the early morning of October 1st I had the honor of carrying the Stone and Story of Dustin Small. It was a chilly start to a very emotional day. (A day i had been preparing for for months both physically and emotionally ) I grabbed my pack and headed over to the TSP tent and everyone started gathering around. Some I new and alot I didn’t. My stomache was in knots and my nerves were a wreck but I knew how important this was for me and for all of Dustin’s family. They announced that we could retrieve the stones so i went to the table and picked up his stone . I thought what a perfect stone for such a heartfelt soul. I held it tight and thought about Dustin and his life and thought about my oldest who is the same age. I held it tight and said a prayer for Dustin’s parent’s and family and the said a prayer for Dustin asking him to please be with me and show me the way. We got to trail Kebo and i was starting to get energy and excited to start my journey with Dustin. As we walked I started to have conversation with some of the other walkers and listened to their stories and things were going great. Then we hit the stairs and the trail got a little more difficult and my pack started getting a little bit heavy and I said come on Dustin we got this and all of a sudden music started racing through my head which was normal because I love music and I am constantly listening to all genres but when i started to get winded and needed a rest Eminem “Lose Yourself ” came crashing in my head. I knew this to be Dustin’s song and I knew Eminem’s music a little but i started humming the song…. every word was there…at that moment I got my sign…he was their and the tears welled up and I thought even in death he is still helping others. We did it we made it to the Summit and my heart was full of love…Love for his family and Love for Dustin. I will never forget this experience and I Will Never Forget Dustin…then it was time to hand his stone over for his next journey. I was hoping to meet his mom and talk but she wasn’t able to be there but an Amazing gentleman came to the cirle to retrieve his stone. He was a member of the Patriot Riders and when I hugged him and handed over the stone and we exchanged a few words I knew he was in good hands and will be well taken care of on the next leg of his journey….. I love being a part of the TSP family. To Dustin’s family, friend’s and brother’s in arms my promise to you is to honor Dustin and to speak his name often and share his story for ever. You All are in my Heart and I hope someday our paths will cross. In October of 2016, I was given the privilege to carry the stone of Dustin Small up Streaked Mountain in Buckfield, ME. It was a very impactful experience that I will remember for many years to come. I began the hike not really knowing what to expect. Honestly, at first, I wasn’t having the best time. It was early in the morning and freezing cold outside. The stone was very heavy on my back and I struggled to climb the steep mountain. However, I reached the top and shared Dustin’s legacy, I realized a short hike that seemed unbearable to me at the time was nothing close to what Dustin had endured for our country. On the top of the mountain it was gorgeous outside by this time. The view was breath taking. It was the peek of foliage and we were surrounded by complete nature. I was beside Dustin’s stone and soaked up the beauty before us. I thought about how much I appreciate Dustin’s service and bravery. It’s the courageous, selfless people like Dustin who make the world a great place to live. He sacrificed everything for his country and there is nothing more honorable than that. Thank you for allowing this living memorial for Dustin to be a reality. It was a truly meaningful and significant experience for me. My 14 year old son had the honor of carrying the stone and story of PVT Small up Table Rock in Grafton Notch in western Maine this past Monday while attending Maine’s National Guard summer camp for children of National Guard members. He came home very proud and honored. This is a memory he is not soon to forget. Thank you for your sacrifice. “I had the pleasure of carrying Dustin Small’s rock up the mountain with me. It made me think about all the things that fallen members of the service have done for us and our freedom”. “I have had the pleasure of carrying Dustin’s rock up Table Rock mountain. I think this is an amazing program and thank Dustin for his sacrifice and work”. I had the great honor of carrying the stone and sharing the story of Dustin on Oct. 14. at Acadia National Park. Although I didn’t get to learn any deep details of Dustin’s short life, I certainly learned that he was an extremely loyal friend, had a great sense of humor, loved music and was generally carefree and happy. Dustin’s time both serving his country and living his life were cut far too short. It is however, young men and woman like him who answer the call and are ready to do whatever is necessary to defend our great country. Without people like him I can’t imagine what would become of us all. I will, for the rest of my life remember Dustin Smalls name and keep his memory alive whenever I have the chance. Our day on Cadillac Mtn. was fantastic for a hike and memorial. The wind was fast and the US flag we carried waved hard. It felt as though Dustin and the others being remembered that day were there with us and could have been in that wind. I will always have great respect for Dustin and his family and am truly thankful for your sacrifice. God bless. I have lived in the Hartland, Palmrya and St. Albans, Me area in the past. I enjoy listening to the video about Dustin and his love for music, poetry and how the girls seemed to loved him. I enjoyed the story of him asking a couple top go out to dinner with him and a girl he was dating. going to Applebee’s in Waterville and he then said I don’t have any money. What a prankster he sounded to be, but I also heard all about him giving a stranger in the need whatever he could and how caring he was. The Heavens have certainly gained a caring Angel with him. God Bless Dustin for his sacrifice for our country and Bless his family.